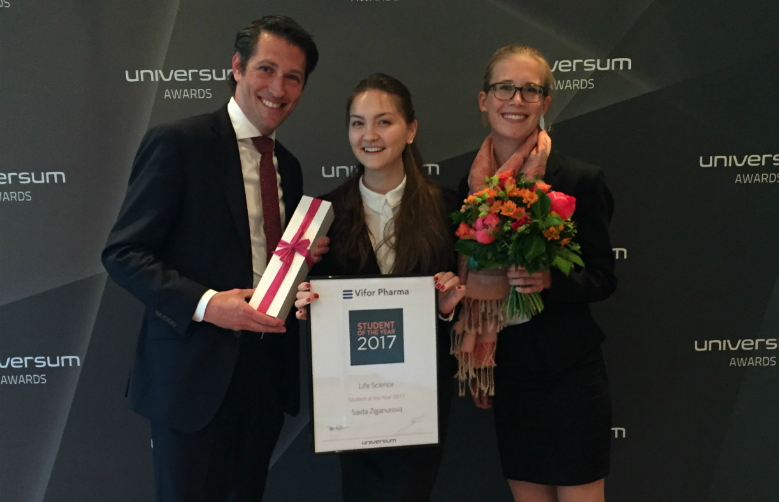 This week, our Vifor Pharma Student of the Year 2017, Saida Ziganurova, started her internship in our HQ in Glattbrugg/ Zurich and we are happy to have her on board of our Global Marketing team! For the fourth time, we invited students and recent graduates to participate in our yearly challenge, organised in cooperation with our partner Universum. The challenge this year was to create a concept for a visual aid on how to raise the awareness of iron deficiency. The selected students had to present their idea in front of our stakeholders from Marketing, Medical and HR. The prize for the winner of the challenge is a paid 3 months internship in our Global Marketing team (worth 10’000CHF)! A warm welcome to Saida, our winner of this year! We are looking forward to soon hear more about Saida’s journey at Vifor Pharma!